For each pitch, simply select software buttons that identify when the pitch occurs and its results. 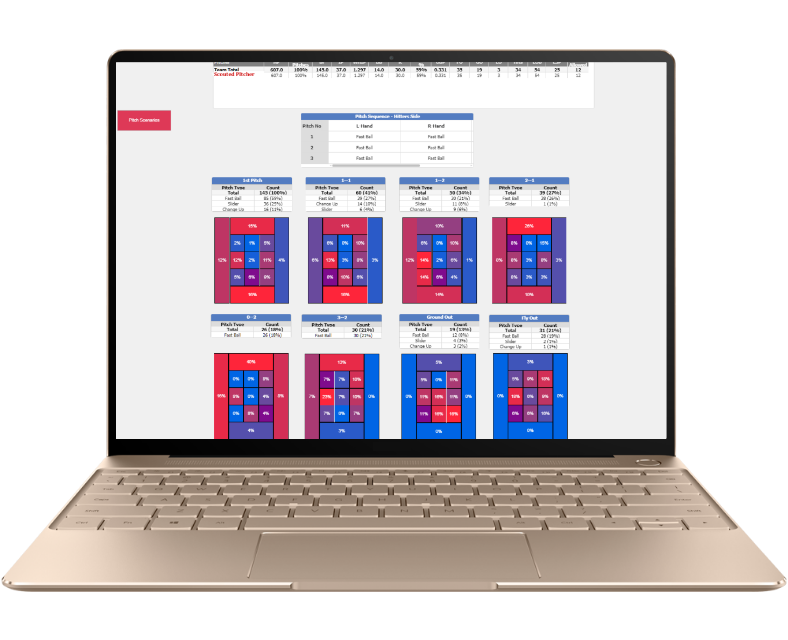 The charted data is exported to our Dartfish cloud service where graphical player reports and videos are available to coaching staff and to players - anytime, anywhere on both computer and mobile platforms. 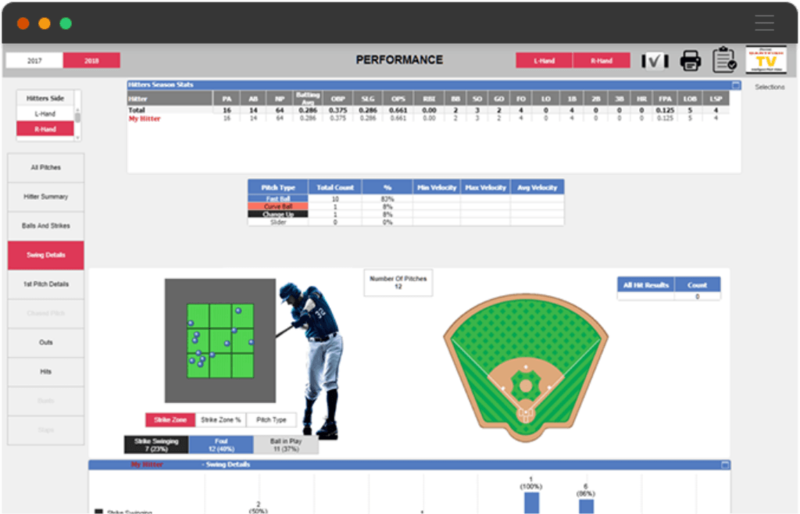 The Dartfish Toolset assists coaches in assessing their pitchers’ and hitters’ strengths, weaknesses and tendencies from game results. The coaches take this information and develop specific practice plans for their players through specific trend analysis charts, sharing and teaching through the pitch video that is available anytime, anywhere for the players to review on their mobile devices. 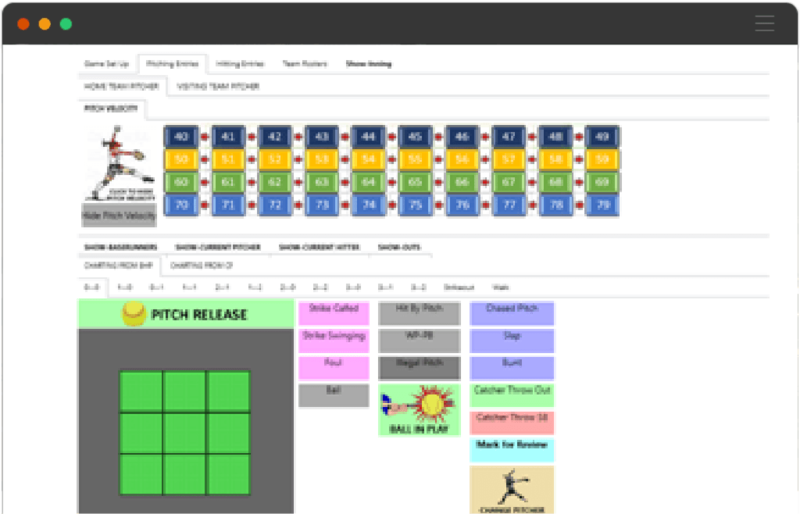 The Dartfish Toolset assists coaches in the development of game plans against specific opponents. 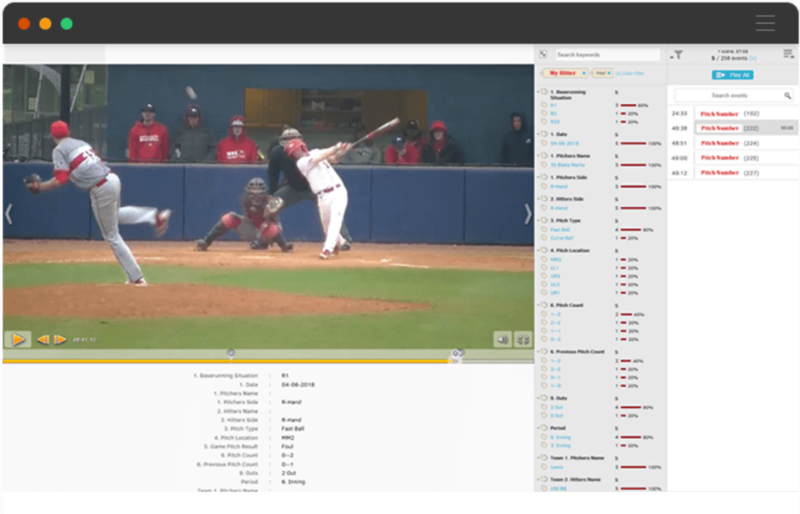 It accomplishes this by charting video from opponent games that generate visual data reports with video identifying the strengths, weaknesses, and tendencies of opponents’ pitchers and hitters. 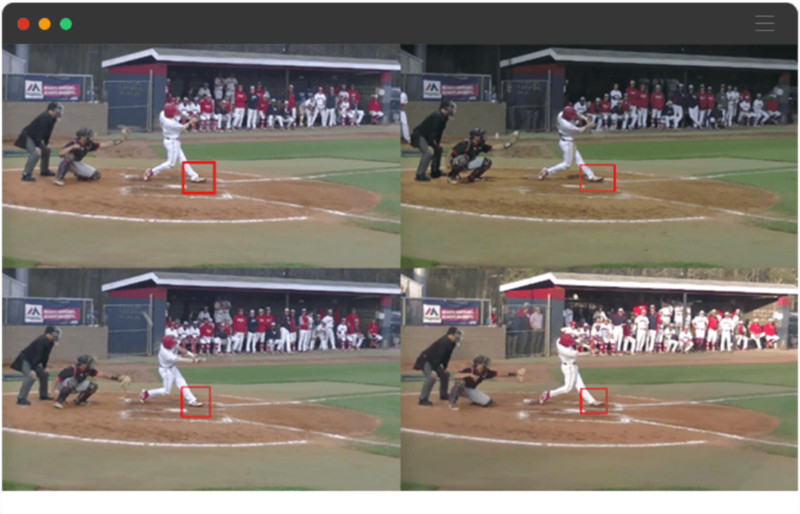 The data is used to develop the pitching plans and prepare the hitters to face the opponent’s pitching staff. 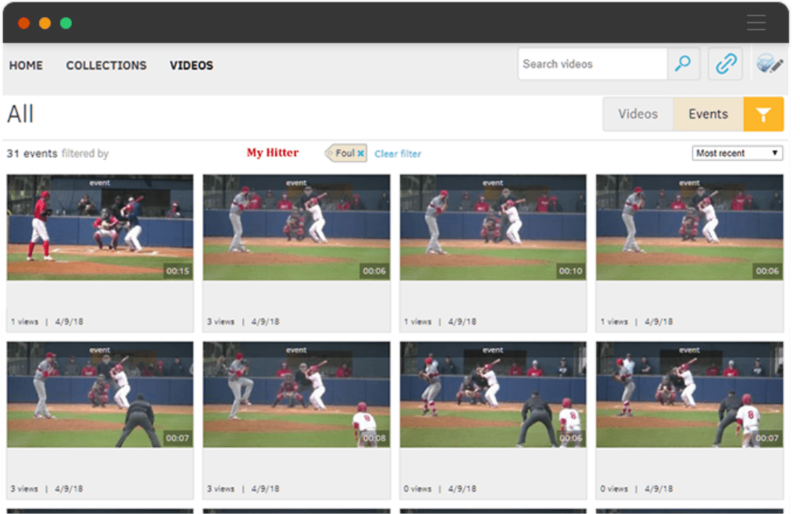 Specific opponent pitcher/hitters video is shared with players to prepare them to execute the game plan. Video has become a necessary program tool used within recruiting processes. Coaches today want to see a recruit’s performance in games versus seeing highlight videos, produced by parents. Dartfish provides a state of the art method to organize all recruit videos in one place. 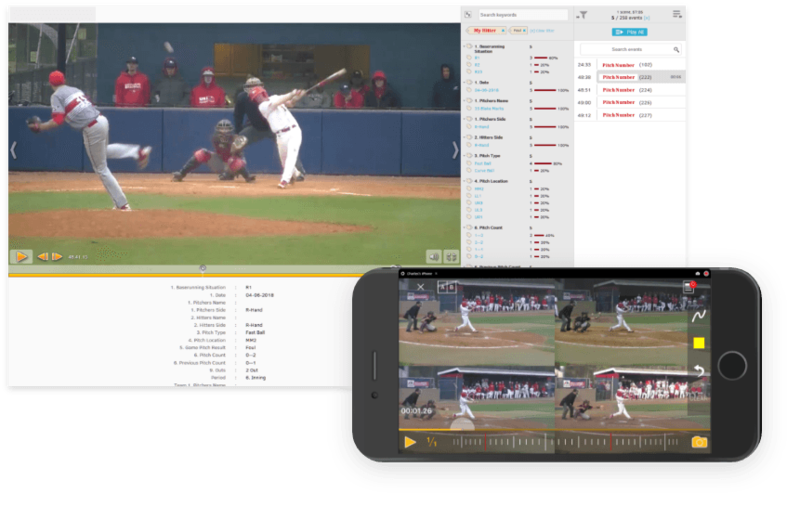 The video can be analyzed, shared, and reviewed easily online by the coaching staff. 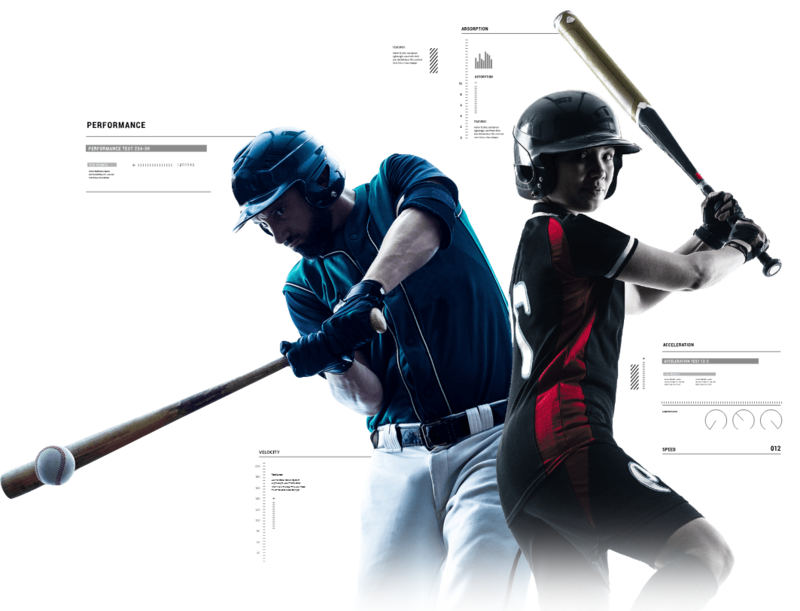 Are you looking for a simple, affordable and easy to use Baseball Solution?